As veganism and vegetarianism become more popular, in the media and in individual lives, we are more and more aware of people jumping on the bandwagon and adopting lifestyles that seek to reduce the intentional harm they cause to animals—in their diets, what they wear, the personal-care products they use, and so on. But at the same time, this new notoriety also means we encounter more people jumping off the bandwagon, for any number of reasons—such as Natalie Portman feeling the need for eggs and dairy while pregnant. Tovar Cerulli is less famous as a former vegan, but he is more interesting because now he is a vocal hunter and proponent of ethical hunting. 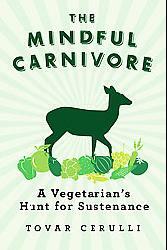 He recounts this personal journey from veganism to hunting and omnivorism in The Mindful Carnivore: A Vegetarian’s Hunt for Sustenance (affiliate link). In the book, we learn of Cerulli’s experiences and reflections in going from fond times fishing as a child, to veganism over concern for animal welfare, and then back to fishing and soon hunting once he loses the conviction that veganism is actually helping animals or the planet. In the course of telling this personal story, in extensive detail and with ample writerly skill, Cerulli also recounts some fascinating American historical data relating to vegetarianism/veganism, agriculture, hunting practices, and more. For example, the opening sections of chapter 2, “Man the Gardener,” provide an illuminating tour of the origins of plant-based diets. And chapter 6, “Hunter and Beholder,” gives an interesting account of America’s collective flip-flop in its attitudes towards hunting: initially, it was seen as a “savage” pursuit of Native Americans (as opposed to the heroic farmer); then, by the early- and mid-1800s, there was a fascination with hunters as rugged individualists. Throughout the book, Cerulli ties together his emotions and his reasoning in his sincere effort to find a way to live on the planet that is sustainable for him and his wife and all Earth’s inhabitants. In the end, hunting for some meats, growing some of his own foods, and carefully selecting other animal and plant foods are how he finds emotional and physical nourishment. Perhaps the clearest aspect of Cerulli’s narration of his personal journey is the extent to which hunting and fishing have immensely powerful, and positive, emotional connections for him. Easily the most frequent other characters in the story are Willie, a much older friend whom Cerulli fished with and learned much from, especially later in life after being vegan, and his Uncle Mark, who is a hunter and also bookends Cerulli’s stint with veganism in crucial ways. Of course Cerulli, to some extent understandably, is quite disparaging about veganism in many of his remarks. For example, one of his earliest references to that phase of his life is: “Before long, I became a purist: a vegan” (15). This use of the word “purist” is very loaded, intentionally leading the reader to a conclusion about how vegans think and behave. Shortly thereafter, he says, “Now, with the unassailable certainty of youth, I did know” better than to be a killer of animals (17). This makes it seem as if veganism is a childish and/or pigheaded opinion that one inevitably grows out of, not an ethical stance. That impression is only strengthened as Cerulli describes himself as a vegan throughout the book using the same sort of terms…at one point even linking his “zealous certainty” as a vegan with “religious fundamentalism” (27). Like many people, Cerulli turns away from veganism when questions of personal health come into play. Unfortunately, both he and his doctor(s) assume that being low in protein (which he is at one point) necessitates a quick fix with animal products. To argue that long-term veganism is dangerous is a sweeping statement that ignores the type of vegan (plant) foods each vegan eats. Cerulli’s route back to hunting begins in his experience as a gardener, plagued by animal pests of various sorts who threaten his homegrown food supply. Failing to find humane ways to prevent deer and other critters from munching his vegetables, he ponders more extreme measures…and the larger meaning in this natural consumption cycle. For Cerulli, the effort to participate in the world through diet has an essential ethical foundation. He says, “It was not, Cath [his wife] and I concluded, so much what we ate that mattered—tofu or trout, chard or chicken—as how that food came to our plates” (67). Thus, eating animals is always a meaningful act, which is a step beyond how most people interact with their food and the system that provides it. But I am saddened at how anthropocentric and predatory it is, as evidenced in his response to Val Plumwood’s “Being Prey.” In her essay, she states after reflection upon a crocodile attack she suffered, “not just humans but any creature can make the same claim [as humans] to be more than just food. We are edible, but we are also much more than edible. Respectful, ecological eating must recognize both of these things” (78). This makes Cerulli think immediately and favorably of hunting—i.e., killing and making food out of animals who could, he seems to agree, make the claim to be more than just food. A similar situation happens earlier when he talks about a ruffed grouse trying not to become food: “But eventually it would, in turn, be plucked from the air by a hawk or owl, or from the ground by bobcat or fox” (66). Is this truly the fate for every grouse…or other prey animal? Do none of them die from old age or disease? Are they all only and always prey? A similar shortsightedness exists in Cerulli’s recognition that farmers, in the process of growing plant foods that vegans (along with other humans) eat, kill deer and other wildlife to prevent crop loss. For Cerulli, a vegan diet means denying the implicit death that comes with eating exclusively plant products; instead, he wants to “confront” death directly, via hunting, in order to feel less detached from the killing of animals in our food system. It is unfortunate that this “pest control” exists; I and other vegans would of course prefer it to be otherwise, while trying to reduce the amount of suffering that we cause. But one crucial point that Cerulli overlooks is that a great many of those farmers killing varmints are doing so to protect crops that go to feed livestock, not humans. According to the EPA, in 2000, 70% of the US corn crop, 30 million tons of soybeans, 22% of the wheat crop, and nearly all of the sorghum crop were devoted to feeding animals used for food. So using animal products from nearly any source, other than hunting wildlife, involves varmint “management” over and above the deaths and suffering of the livestock themselves. Cerulli may be respecting animals by not using those who are raised in factory farms; but respect must also extend to how and why they die, not just how they are raised. To intentionally hunt and kill them for food, when one can choose not to use any animals for food, is to fall short of paying them the ultimate respect—the right to live. Another essential theme in The Mindful Carnivore is that hunting is a powerful way to connect with nature. And Cerulli is not unjustified in making this claim. Hunting surely is a way for a human to be out in nature, carefully studying the flora and fauna and weather patterns and so much more. But the problem is that it is held up as the height of nature interaction, regardless of the toll it takes on other individual creatures and the ways those same experiences could be had without the killing. We also can find ample other ways to connect with nature…as Cerulli himself and others around him do throughout the book. He relates a story from longtime hunter Uncle Mark, when a deer came within twenty feet of him while he was bowhunting. With a perfect shot before him, Mark says, “I never did draw an arrow. … It was just wonderful to be so close to such an incredible animal” (122). Given that a hunter can experience the wonder of nature in this way, even without taking the shot, why is killing proclaimed to be a key component of why a nature-loving hunter hunts? The wonder and closeness of tracking and spotting, even of “shooting” with a camera instead of a gun or bow, are not utterly dependent on the death of any animals whatsoever. To his credit, Cerulli is deeply concerned with the ethics of hunting animals, and he does not come to take up the gun or bow again lightly. He narrates his deep personal questioning and reflection throughout the process. Thus he examines the idea that hunters are saviors of wilderness and wildlife. This is most evident in chapter 10 and the account of how hunters helped prevent the extinction of whitetail deer—though depicting hunters as the saviors of endangered species, by “sound[ing] the call for conservation” (99), is not really warranted in my mind. As Cerulli himself makes clear, it was largely hunting that pushed them to the brink. Those conservation-minded hunters were only undoing what other hunters, with different priorities, had helped to do. And although Cerulli’s decision is swayed by the positive views on hunting, he is still certain that he wants to hunt in ways that seem ethical to him. Of course, he is well aware that not all other hunters feel similarly. This is evident in a training class he takes before getting his hunting license, where students snicker at the mention of ethics and the course manual is very careful about public perceptions of hunters. Throughout The Mindful Carnivore, the predominating character trait revealed by Cerulli is his ambivalence, his ability to see both (or more) sides of an issue and then step forward with uncertainty about how right he is. This is true for hunting as it was for veganism, despite his positive connections with hunting and his growing certainty that veganism is not his way. One of the most interesting moments in the book is when Cerulli, given the chance to kill a doe and fawn while bow hunting, chooses otherwise: “But they had appeared together. Though I knew that the doe would survive without her fawn and that the weaned five-month-old would stand a fair chance without its mother, I could not bring myself to kill either of them. I knew they had each other. That bond was stronger than any claim I could stake” (195). And yet he continues to hunt, later taking a shot at a fawn, and then finally, after a lengthy and frustrating effort (including the effort not to try too hard), killing an adult deer. Cerulli admits that hunting is, itself, an ambivalent and imperfect path towards moral uprightness. After his first successful kill, he states, “Hunting, however, would not put me on a new high road to moral certainty. If this first experience of killing a deer was any indication, it would bring me face-to-face with ambiguity every time” (250). Ultimately, Cerulli’s final lesson is that no path is perfect, and every human practice will involve hard decisions and inevitable costs. For him, hunting combined with some gardening and careful selection of purchased foods, along with other lifestyle choices, is the most sustaining and sustainable approach. He concludes, “The particular practice does not matter. What matters is that deep looking. What matters is the kind of insight that can leap from here to there, from the simple fact of food on a plate to the ecological and ethical complexities of its origins” (257-58). Of course, shortly thereafter, even this certainty seems to have its own limitations. Still, this general effort at mindfulness is evident throughout The Mindful Carnivore, reflecting Cerulli’s concern with observing, reflecting, and living in a way that he believes is sustainable and ethical. 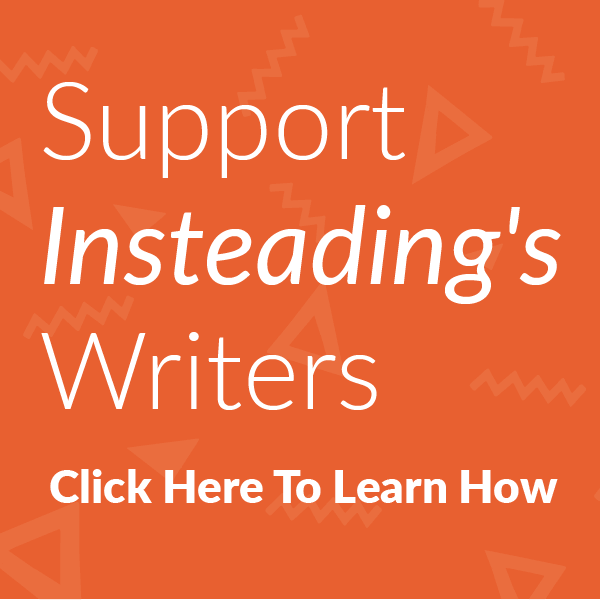 Although a reader may not agree with many of his conclusions or his actions, and many of his arguments can be countered, Cerulli has created many opportunities for eaters of all types to reflect on what they put in their mouths…and how they get it. Great review, Justin. Thanks a lot! Someone directed me to an article on Pajamas Media recently about that whole “you kill animals in farming thing” — i thought of exactly your point about how much food is actually grown for feeding livestock,… as well as other things. thanks for taking the time on this one. sharing it. Thank you for this thoughtful review. As I found many of the authors assumptions to be fallacious, but I suppose I am not the target audience for this book anyway. I do want to discuss the use of his word “purist” in describing vegans, which as you rightly point out is loaded and gives an unsavory idea about how vegans think and act. perhaps it was because of that word choice but it immedately called to mind things about the way some vegans present thier beliefs that I personally find abhorant and feel should be further discussed in the community. That would be the comparisons drawn between the very real and disgusting conditions in which factory farm animals are kept and nazi concentration camps, slavory etc. These comparisons gather much attention because they are shocking, but they also alienate non-vegans and give the impression that vegans are purists and extremists rather than humanists and activists. Not to mention the fact that these comparisons miss the “espirte” behind concentration camps, slavory. Thanks for your comment, Rischa. I agree with you that how the conversation around veganism happens should be done carefully and rationally. Granted, some people are drawn to the more inflammatory approach, and become vegan because of that approach. But personally, I think that there are very clear and numerous reasons to go vegan, and presenting those reasons can be done without bludgeoning people whilst giving them facts.